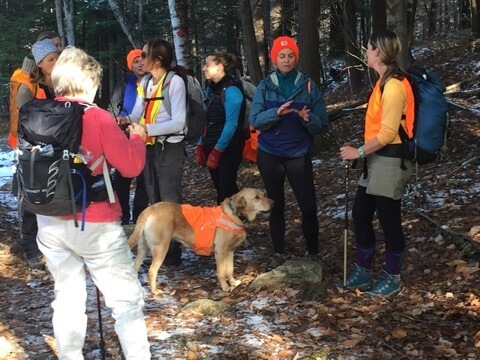 On this bright and brisk Wednesday morning, 11 amazing women (and one very sweet canine companion, Dixie) congregated about 8 miles west of Bridgton, ME to hike the Fire Warden’s Trail up Pleasant Mountain. 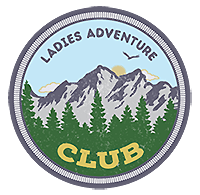 For many, this was our first outing with the Ladies Adventure Club – but you would not have known it! 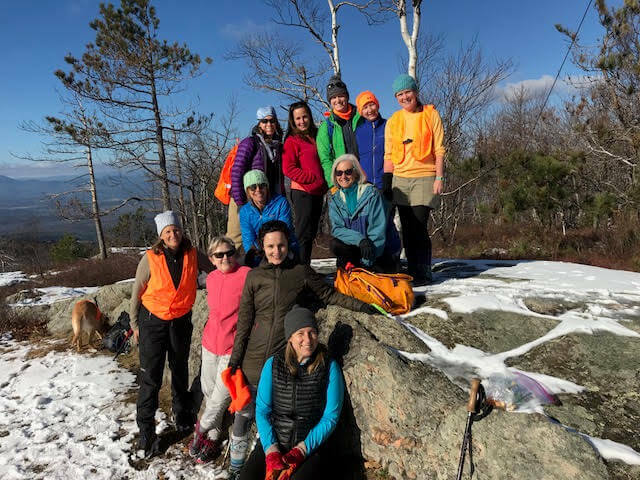 Once introductions were made and Alicia Heyburn (our hike leader/organizer) gave us a quick run down of what to expect, we were on our way. It was pretty amazing how we seamlessly found common ground with one another as we made our way up mountain. 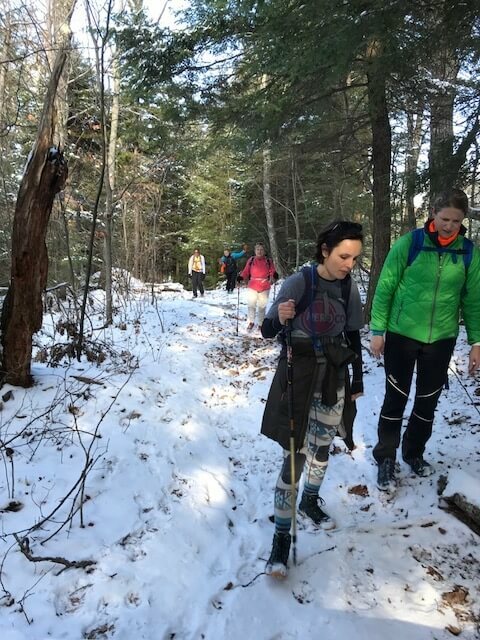 There was an easy camaraderie and flow as hikers traded places and picked up alternating threads of conversations with one another. 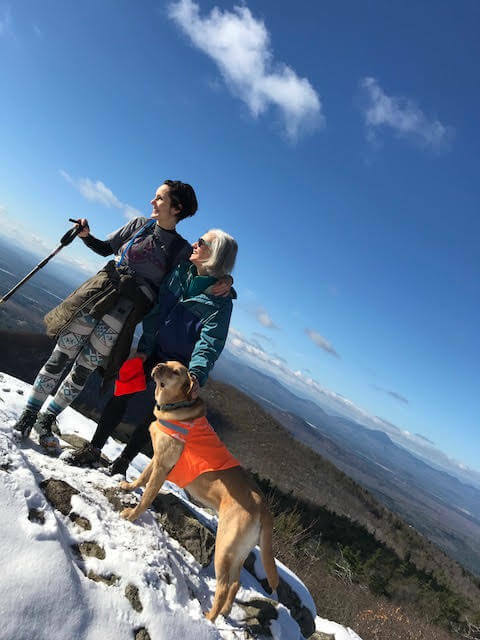 The scenery was amazing; a babbling brook paralleled the trail at the beginning of the hike and the trail was blanketed with a layer of leaves and rocks. 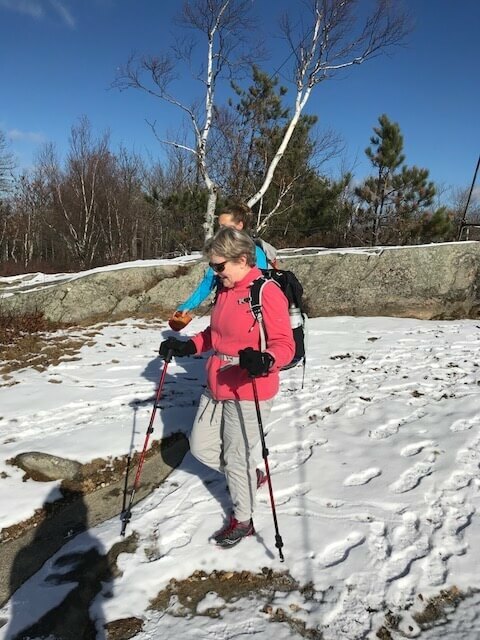 As our hike progressed the snow that bordered the edge of the trail soon became part of the trail. 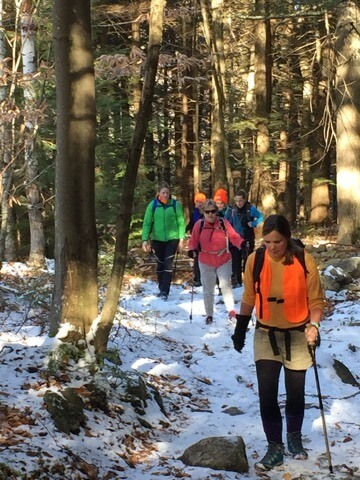 Our pace ebbed and flowed and we stopped several times to regroup, peel off layers and check in with each other. The view that awaited us at the summit was amazing – clear, electric blue skies and patches of sunny, dry rock mixed in amongst the snow. We hung out long enough to eat lunch, take pictures and enjoy the balmy weather. We did not dally too long at the top as we had an appointment at NURTURE THROUGH NATURE (a wilderness sauna) at 1:30pm and really, none of us wanted to be late for that! The sauna was AH-mazing, everything you could wish for at the end of a hike and more. The space was clean, well cared for and soooooooo relaxing. There was COLD spring water for us to drink, nuts and berries for us to nosh on, cold water in the sauna, AND… just down the trail from the sauna.. two “dipping pools.” YIKES! You could hear our shrieks and giggles for miles, I’m sure. It was a delightful, safe and refreshing way to end the day. 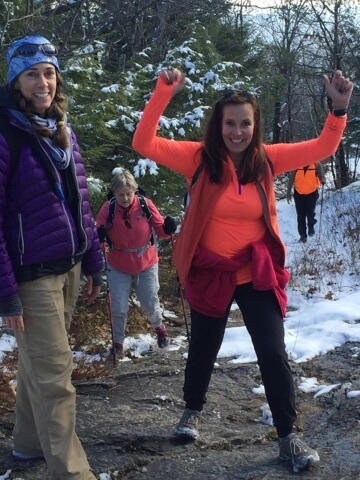 If this is what the Ladies Adventure Club outings are like – well, I’ve found my people!! 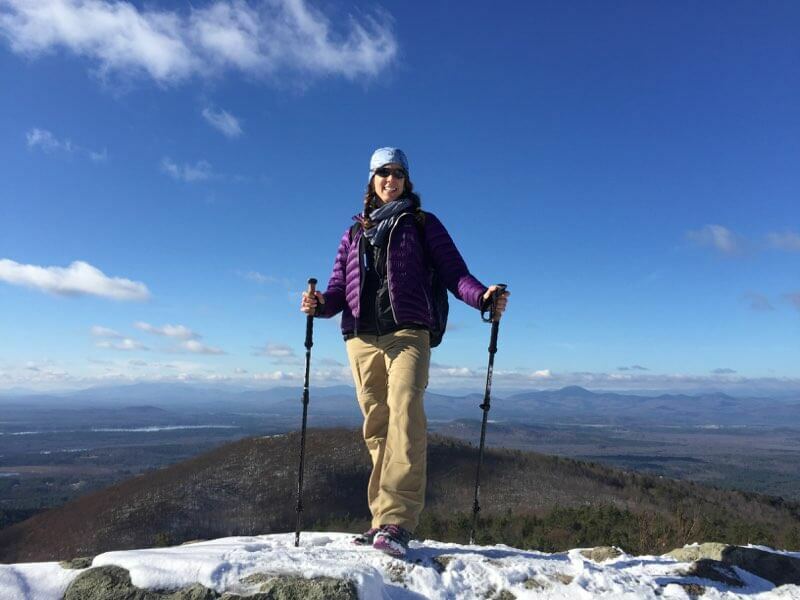 What a wonderful (AHmazing) peaceful blog Francesca! Thank you for putting our thoughts and feelings in words.